Vadodara district unit of All India Bank Officers Confederation (AIBOC) raised their objections against the divide and rule policy of Indian Bank Association regarding wage revision. 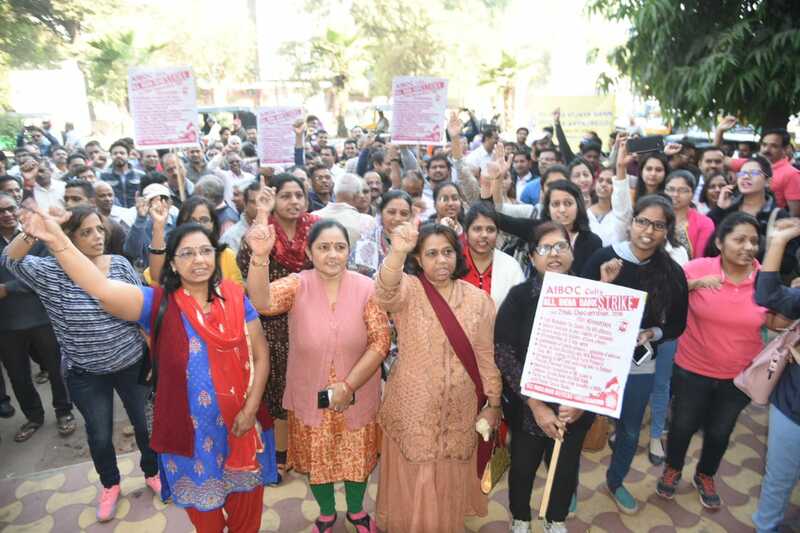 They demand the revision for all the officers grades and threaten to continue their agitation against the policy. 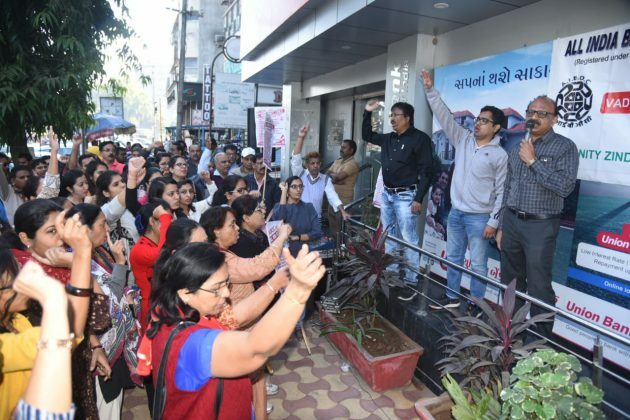 On Friday the employees and officers of the nationalised banks gathered in Vadodara city and shouted slogans against IBA for its policies and away from the routine work. They raised their protest in front of the Union Bank Sayajigunj branch against the IBA and demand equal wage revision for all the grades. “The issue is regarding the mandate where the IBA is in talks with us for wage revision and proposed only to implement on top three grades. The proposal is against the Pillai Commitee guidelines and we want the revision to be implemented on all 1 to 7 grades. We don’t accept such policies of divide and rule and continue our fight for justice, ” said Rahul Karnik Senior Manager Union Bank and Working General Secretary AIBOC Vadodara. 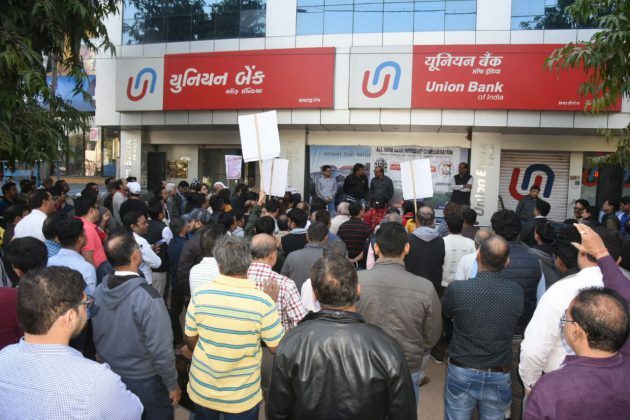 The strike affected the routine working of the banks.